Any form of improvement you make on your home is about as thrilling as buying a new house all over again. Installing a stand-alone off the grid power system is one kind of an improvement that brings along the feeling of truly living in freedom–completely detached from the world around. Installing solar panels on your home is a cost-efficient home improvement that will keep paying for itself and even completely remove energy charges from your utility bill. Why is installing solar panels the most cost-effective home improvement project? While the cost of installing solar panels and the entire domestic solar power system has been dropping drastically over the past decade or so, the best and newest most efficient equipment cost money. Installing solar power is a big step in conserving the environment and switching over to the energy of the future and must thus be a very informed decision. Is now the right time to invest in a home solar power system or should your next home improvement project be the usual remodeling, repainting, an getting a bigger TV and larger speakers? Before you can make a decision whether to install solar panels, it is imperative that you understand how solar panels work, what power ratings mean, and how much, on average, you would need to invest to get good-enough panels and batteries for your home. Photovoltaic solar panels are cheaper now than they have ever been, and as long as you clean them properly and get a professional to install them for optimum exposure to sunlight, you will be looking at 98 to 102 percent efficiency in average weather conditions. Many people are rushing to install solar panels on their homes because they are proven to increase the value of the property by as much as $25,000 instantly. Considering that the average cost of installation and solar equipment and tools for a three bedroom family home of five is less than half this, the best home improvement investment you can undertake now is certainly solar. Installing solar panels on your home is possibly the costliest and most challenging part of switching over to solar energy. However, the government and local authorities realize this challenge and often offer federal tax credits that may be as high as 30 to 50 percent. Make a point to check with your local administration for any available incentives that could save you money. The cost of solar panels depend on the wattage of the panels, measured in Watts, and efficiency under ideal conditions, rated in %. Determine how much power you need in your home by adding up the wattage ratings of equipment, devices, recharging phone and tablet batteries, and of course, lighting. You can then use this information to determine how many watts solar panels and battery sizes you need to power your home. Most solar systems today are good enough to enable you power your home completely off-grid. 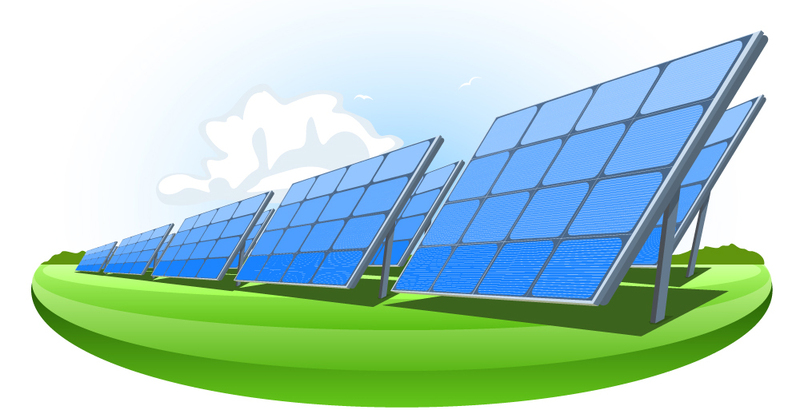 It is recommend that you talk to a solar panels installation expert or company to get an accurate assessment of the solar panel wattage you need in your location to get more accurate estimates. You can estimate how much you will be saving on your energy bills and even celebrate an end to paying electricity bills if you are willing to invest in the best solar system equipment for your home. Considering that the state-of-the-art photovoltaic cells, batteries, and even LED lights come with up to 25 years’ guarantee, it will be worth every penny you invest in the long run. A simple search online can also lead you to a good power and energy utility bill calculator that will prompt you for information about your home and devices then return a useful report regarding what the optimum equipment you will need to invest in order to live off the grid and comfortably in an energy self-sustaining home. When you decide to go forward, there is no better time to take action than now. Discover how profitable the solar energy is and why science says everyone must eventually switch. By reading this, you have already taken a step further in the right direction. I have been exploring this topic for roughly 2 weeks at this point and this is actually the very first post which makes sense. How come it’s so difficult to access effective information and facts when it comes to protection nowadays? Certainly respect the time you invested getting your thoughts into words so novices like me can take a step. Could there be a part 2 with your page? Many thanks! I’d need to check with you here. Which is not something I usually do! I get pleasure from reading a publish that can make folks think. Additionally, thanks for permitting me to comment! When I initially commented I clcked the “Notify me when new comments are added” checkbox and now each time a comment is addedI get three emails with the same comment. Is there any way you can removeme fro that service? Thanks!